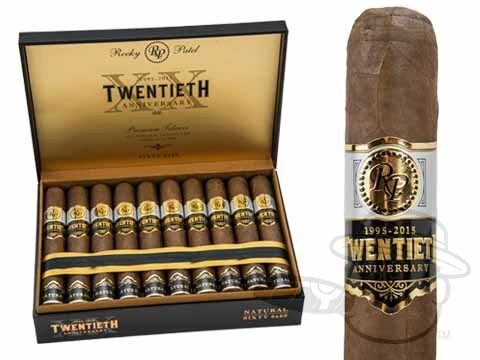 In 1995 Rocky Patel left his lucrative position as a Hollywood attorney to pursue a career in handmade cigars. Twenty years later, we think it’s safe to say he made the right move. 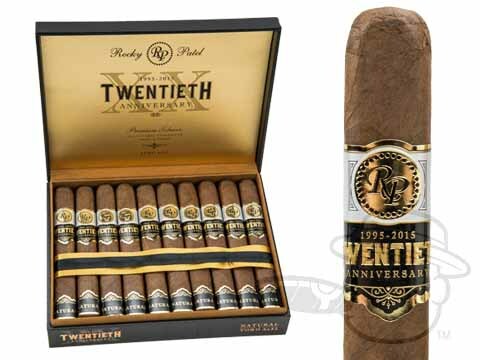 After four years of careful blend testing and development, Rocky has unveiled his finest offering yet: the Rocky Patel Twentieth Anniversary cigar. 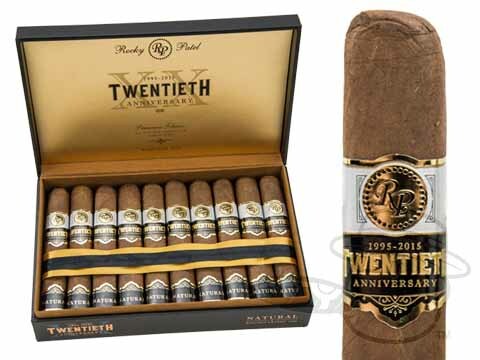 Combining choice fillers from Esteli and Jalapa, Nicaragua, and Jamastran, Honduras beneath a beautiful Honduran wrapper leaf, Rocky Patel Twentieth Anniversary is the stuff cigar legends are made of. Precise box-pressed construction allows for a spot-on burn and draw that pays the ultimate compliment to this luxurious, full-flavored blend. 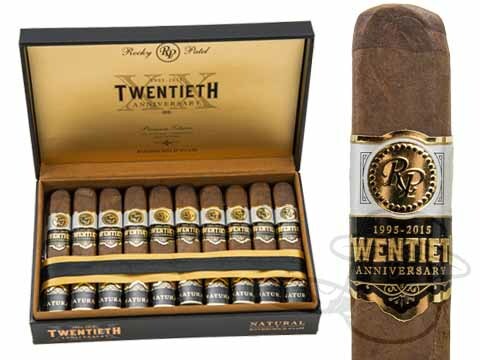 Following in the footsteps of the highly-rated Decade and Fifteenth Anniversary lines, Rocky’s Twentieth Anniversary marks the start of an extraordinary new chapter for this much-celebrated brand; one that you surely won’t want to miss.